Our 14 Dyno-Cool curved blade electric fan moves 1230 CFM at 0 static pressure while drawing only 9.7 amps. Included with every fan you get a fan mounting kit with 4 plastic through radiator core rods with clips, 4 foam pads and 4 mounting feet. 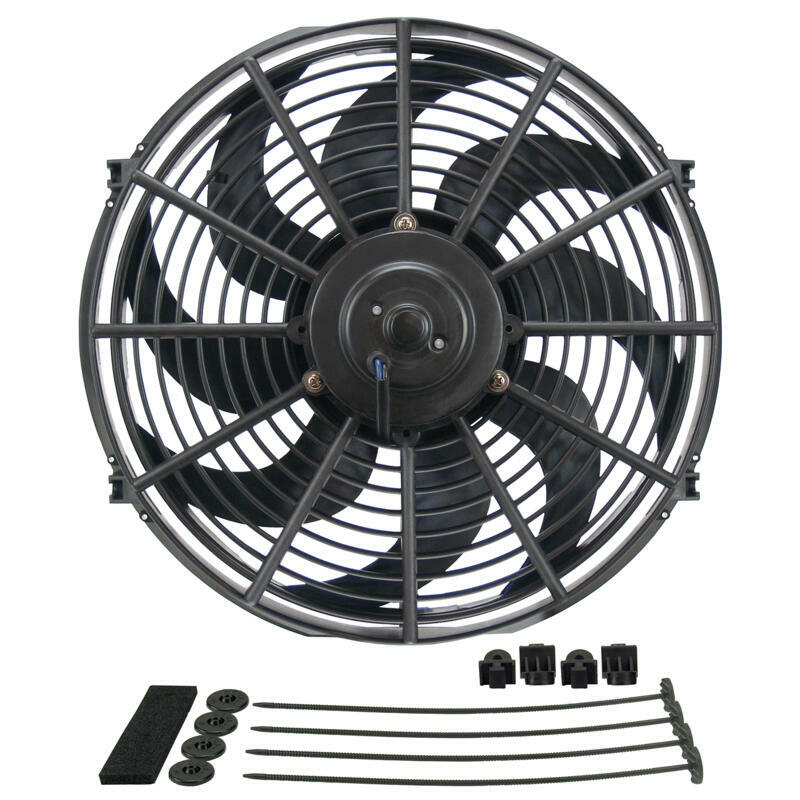 Maradyne Engine Cooling Fan M146K; Champion Low Profile 1,555 cfm Single Electric 14"